Scottish Squash are offering coaches and volunteers the chance to attend a CPD session which focusses on delivering squash in the school environment. This is part of the 2019 Springfield Scottish Squash Open event, running alongside the competition. The CPD session will run on Friday 5th April 2019. This will take place in Oriam; Scotland’s Sports Performance Centre at Heriot-Watt University in Edinburgh. The session will run at from 13:00 – 14:30. 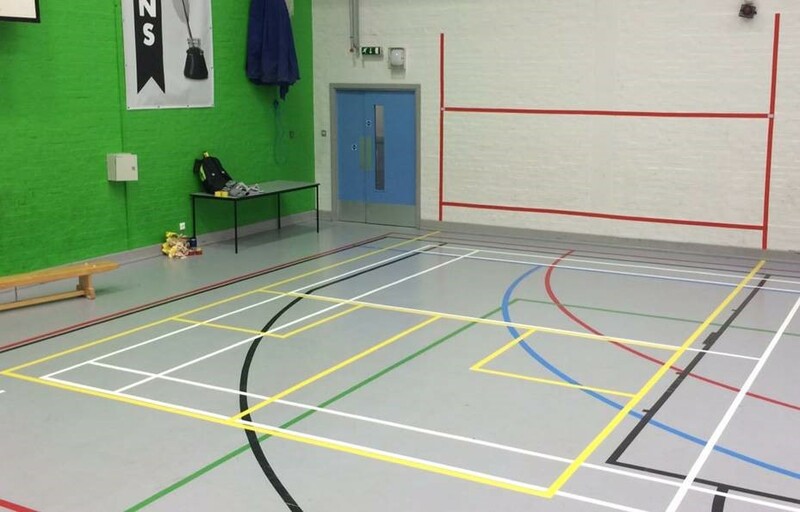 Delivering squash sessions in a school, using the games-hall based schoolSQUASH courts/format (see picture of court). Come along and be one of the first clubs/coaches/individuals to try out the resource pack – and learn how to get involved with the schools and communities around your club/facility! As well as getting access to this fantastic CPD opportunity, you will also get a free ticket to the Friday evening session (5pm – 9pm) at the 2019 Springfield Scottish Squash Open. Doors for this session will open at 4pm on Friday 5th April 2019. If you are interested in attending this CPD session, please get in touch with David Fallon at david.fallon@scottishsquash.org – indicating which session you would like to attend. Children and students will be able to attend the Springfield Scottish Squash Openfree of charge during rounds 1 and 2 which take place on Wednesday and Thursday (April 3 or 4) at Oriam; Scotland’s Sports Performance Centre.